A good value property giving a good base to enjoy the towns shopping, restaurants and nightlife. 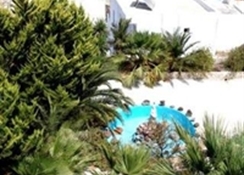 (0709/AC) LocationLocated very close to the centre of Fira on the road that leads up to Firastefani, this hotel has a great location within easy reach of the centre of Fira yet away from the noise. It overlooks the Aegean sea to the east of the island. It also has a large car park unlike most town hotels. The airport and port are both a 15 minute transfer away. 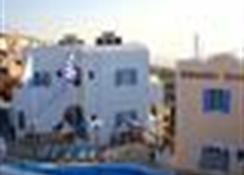 Distance7 kms to the nearest airport (santorini airport)5 minute walk to the nearest bus stop RoomsRooms are medium in size and decorated in a traditional style. Some of them have sea views. 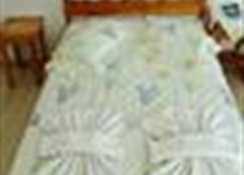 Facilities include air conditioning, telephone, television, mini fridge and balconies. RestaurantThere is a breakfast room on the ground floor near the lobby. It offers both indoor and outdoor seating. ExteriorA traditional style white stone washed building with blue doors and shutters. There is a medium sized outdoor swimming pool in the atrium of the hotel. LobbySmall to medium in size, the lobby has a traditional decor and some seating. 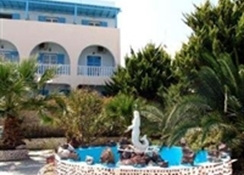 Family Hotel Hellas Welcome to the 2x000D star rated Family Hotel Hellas in Santorini. On site car parking is available at the hotel. Dining is available at the hotel, which has it's own restaurant. Room Features Family Hotel Hellas. Smoking is permitted in both the bedrooms and the public areas of the hotel. Please specify when booking. All rooms feature a stocked minibar. Leisure Info. 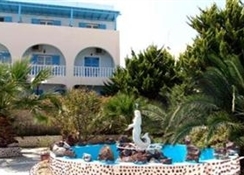 The Family Hotel Hellas offers guests a selection of leisure activities and facilities. An outdoor swimming pool is available for hotel guests. Additional Info. The hotel offers an airport shuttle service. Pets are most welcome at the hotel. A concierge service is available to guests.